Joy Creek Photo Archive (c) all rights reserved Parahebe catarractae 'Delight' is an evergreen sub shrub with small glossy green leaves. Long blooming clusters of small saucer-shaped flowers. Excellent for border front. From New Zealand. 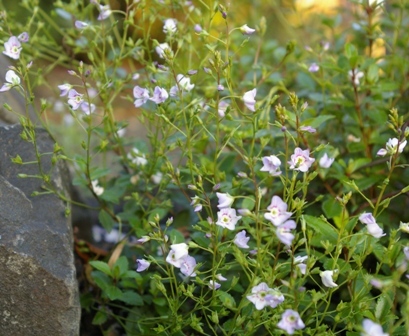 Parahebe catarractae is a Great Plant Picks selection. Summer. 16 in. x 24 in.